While the benefits of melatonin supplements are undeniable, the bioavailability of orally ingested melatonin is particularly low. These suppositories dissolve fast but release slow for optimal convenience and vastly superior absorption rates. Earn up to 197 DR Reward Points. Melatonin supplements are capable of providing valuable sleep cycle support and antioxidant activity. While the benefits of melatonin supplementation are undeniable, their bioavailability when orally ingested is thought to be extremely low. Zetpil Melatonin Suppositories dissolve fast but release slow for optimal convenience and vastly superior absorption rates to any oral melatonin supplement. 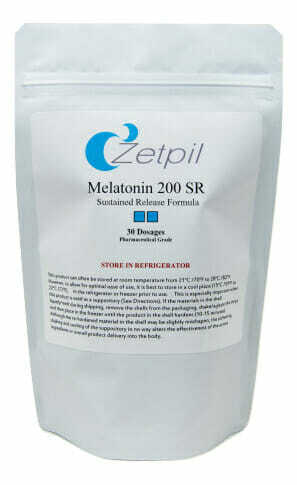 200 mg or 400 mg dose of highest quality melatonin designed for maximum bioavailability. Powerful antioxidant and anti-inflammatory properties. Supports the development of a healthy sleep schedule. 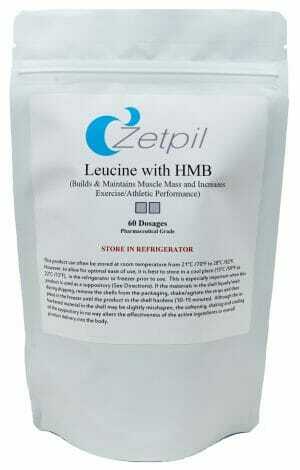 No degradation through digestion as with oral supplements. Made of an all-natural proprietary suppository base. Suppositories can be shipped with ice to ensure preservation of shape and potency. Many people take melatonin supplements to support the development of a healthy sleep schedule. Indeed, melatonin is a naturally produced hormone which plays a significant role in regulating sleep cycles of the human body. It is synthesized at higher rates in darkness as a preparation for sleep and at lower rates in the light to support energy levels throughout the daytime. Those who experience difficulties with maintaining regularity in their sleep cycle, either for health or work related reasons, may find that melatonin supplementation supports them in developing a healthier sleeping schedule. Suppository formulations of melatonin seem to be the most effective means for ensuring the absorption and utilization of this powerful nutrient. By releasing directly into the porous tissues of the lower bowel, suppositories bypass the digestive system entirely and arrive in the body undegraded. These particular suppositories are designed to melt and absorb quickly for convenience, but release the nutrients slowly over a period of 12 hours to ensure their full absorption and usefulness in the body. Note: Storing this product at room temperature will not alter the effectiveness or potency. However a firm suppository is necessary for a comfortable and easy insertion. 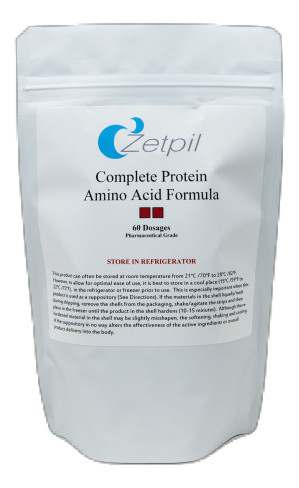 Therefore we recommend that this product be stored in the refrigerator to maintain firmness. If the suppository does become soft, place the suppository in the refrigerator to achieve the firmness needed for comfortable insertion Avoid excessive heat 40°C (104°F). Store in a cool place 8° to 15°C (46° to 59°F) or refrigerate. When using nutritional supplements or nutraceuticals, please inform your physician if you are undergoing treatment for a medical condition healthcare professional. Other Ingredients: This product contains an extract from soybean. 1 in the early evening 2 hours before bedtime or as directed by your health care professional. Some individuals become drowsy immediately and should adjust the time when they take the product accordingly. This product’s potential therapeutic effect is best realized when taken overnight where the release time occurs over an 11 hour period of time. 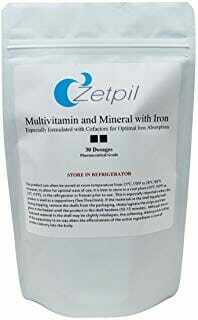 This allows Melatonin to be released into the blood stream and exert a safe, prolonged beneficial/therapeutic effect. It is recommended that the suppository be retained for approximately 6 hours to insure adequate absorption of the nutraceutical, herbal and nutrient ingredients contained herein. Therefor it is best when taken before bedtime. To facilitate insertion it is recommended you moisten suppository with warm water. If inserted while lying on one’s side, consider remaining in the supine position for 1-3 minutes following insertion.